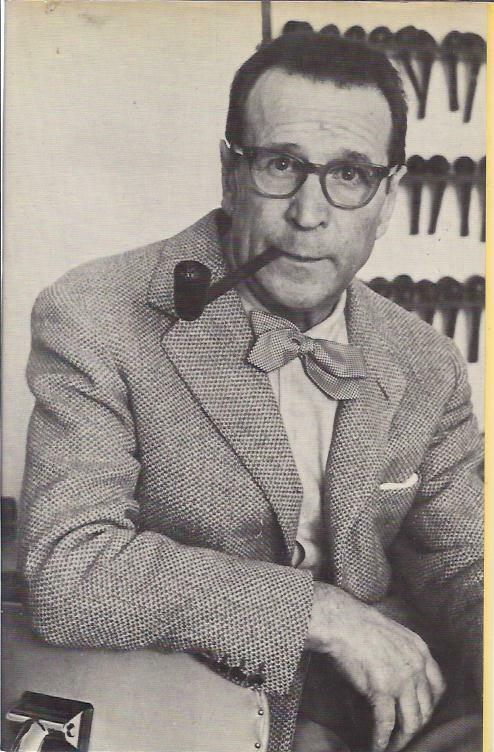 I am due to tramp up to the scenic Rhineland and Castle Skull with our old pal John Dickson Carr, but I paid one last call, for now, on Georges Simenon, who is always a solid bet to show a reader a good time. 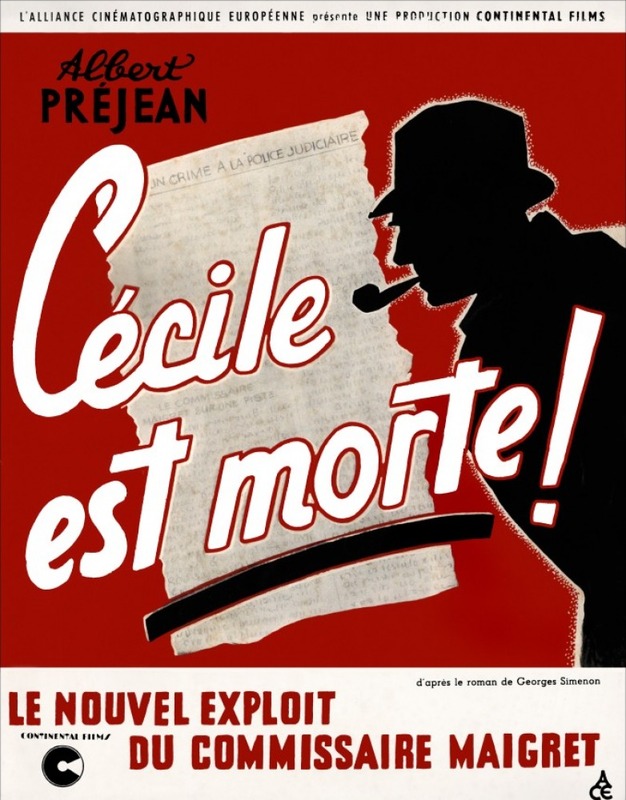 This time the book in question is Simenon Cécile est Morte (1942), reprinted in the United States and Great Britain in 1977 as Maigret and the Spinster. Why did it take thirty-five years for a translation into English? This is perhaps the best Maigret novel that I have read. 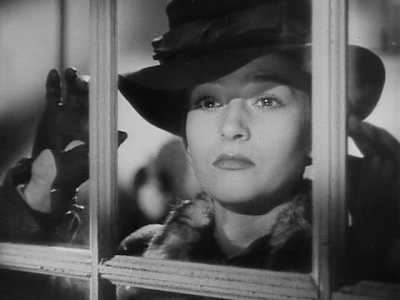 It was filmed in France in 1943, apparently the fastest novel-to-film translation in the Simenon canon. The book should made quite a good film. When in 1940 Simenon commenced Cécile est Morte/Maigret and the Spinster (I will refer to this novel as Spinster), his last Maigret novel had appeared in 1934. Simenon's sales had dropped since he stopped writing Maigrets to concentrate on his roman durs (hard novels, or noir) and he evidently turned back to the Maigrets as a way of adding more coins to his coffers. Despite this mercenary motivation, when Simenon returned to writing Maigret mysteries his style of writing to some extent had changed. While not sacrificing an interesting mystery plot, Spinster is even stronger than earlier Maigrets in its depiction of character and atmosphere. And while this particular Maigret exploit still offers the reassurance of a problem solved and justice done, it has its discomforting, bleaker elements as well. The spinster of the title is Cécile Pardon, only twenty-eight years old, but worn out before her time as a general slavey to her wealthy, miserly aunt, Juliette Boynet. Cecile is one of Simenon's pathetic women, tragically unblessed with good looks (she even has a squint). The poor girl has been in the habit of constantly visiting Maigret at his office, assuring him that someone has been entering her aunt's flat on certain nights. Nothing has been stolen, but objects have been moved around. Maigret's colleagues make a joke of the visits, pretending to believe that squinty Cécile is Maigret's mistress; and Maigret has become hardily sick of Cécile. So when Cécile visits yet again and Maigret puts her off it is no surprise. When he finally decides to see Cécile, she has gone, but the message left by her for Maigret strikes a new--and very urgent--note: "It is essential that I should see you. Something absolutely frightful occurred in the night." Maigret decides to go to the flat of Cécile and her aunt. There he finds Cécile's aunt dead, strangled, lying on her bed--but no Cécile. When Cécile later is found at police headquarters she is quite dead--strangled and stuffed in a broom closet. Cécile's brother and sister, who hated their tightfisted aunt. The brother, Gerard Pardon, particularly needed money, as he is out of work, with a wife shortly to give birth to their first child. The relatives of the aunt's deceased husband, from whom she inherited a substantial amount of money, which she invested in numerous lucrative properties, including the apartment building in which she lived. Her lawyer and business adviser, Charles Dandurand, who has served time for corruption of minors and encouraged her to invest money in houses of prostitution. The perverse Dandurand is just one of the questionable tenants in the building, all of whom are memorably limned by another vivid character: the concierge nicknamed "Madame Saving-Your-Presence" by Maigret, on account of her reiterative use of that phrase. This gossipy old lady is a wonderful character, straight out of Agatha Christie, though Simenon takes us out of the cozy territory by noting that Madame's room smells of "stale cat's urine" and by lingering over the dinner table's "glutinous remains of a pig's trotter"--Madame's dinner. Though Maigret explains rather mystically to a visiting American criminologist that he solves cases intuitively ("I feel things"), I, a materialist mystery fan, found the plot of this particular novel immensely satisfying. In it there are interesting twists that would not shame an Agatha Christie tale. People may say they don't read Maigrets for the mystery plots, but anyone who, like me, does read Maigret and the Spinster at least partly for its mystery plot should not be at all disappointed. Nor should they forget the characters and the setting any time soon--a splendid bonus! 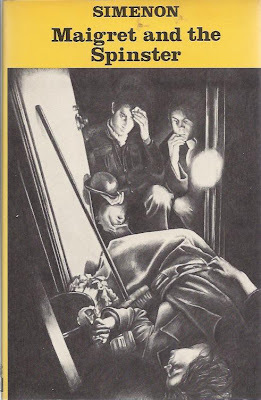 Next we head from the realism of Simenon and Maigret to the romanticism of John Dickson Carr and his French detective, Henri Bencolin, in the last of our French-flavored mysteries. I hope to see you at Castle Skull. Be sure to bring flame retardant!--The Passing Tramp.